We learned that we could pay a premium on our chocolate that would help our cocoa farmers implement responsible agricultural practices. This not only improves their livelihoods, but also keeps the soil healthy for future generations. To support our farmers, we worked with our suppliers to increase the amount of responsibility sourced cocoa in our products. Today, that number is up to 95% and we're actively working to convert that last 5%. We'll always seek to craft delicious food that improves communities. 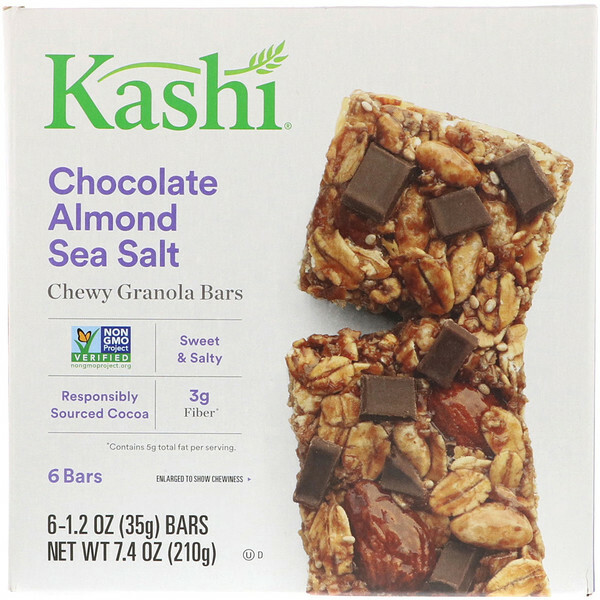 That means this Chewy Chocolate Almond Sea Salt Bar not only tastes good, but does good too. ...not only tastes good, but does good too. Whole grain oats, brown rice syrup, dried brown rice syrup, almonds, semisweet chocolate (cane sugar, chocolate, cocoa butter, soy lecithin, vanilla extract), brown rice flour, chocolate sunflower oil, chia seeds, glycerin, oat fiber, sea salt, cocoa, natural flavor, rosemary extract for freshness. 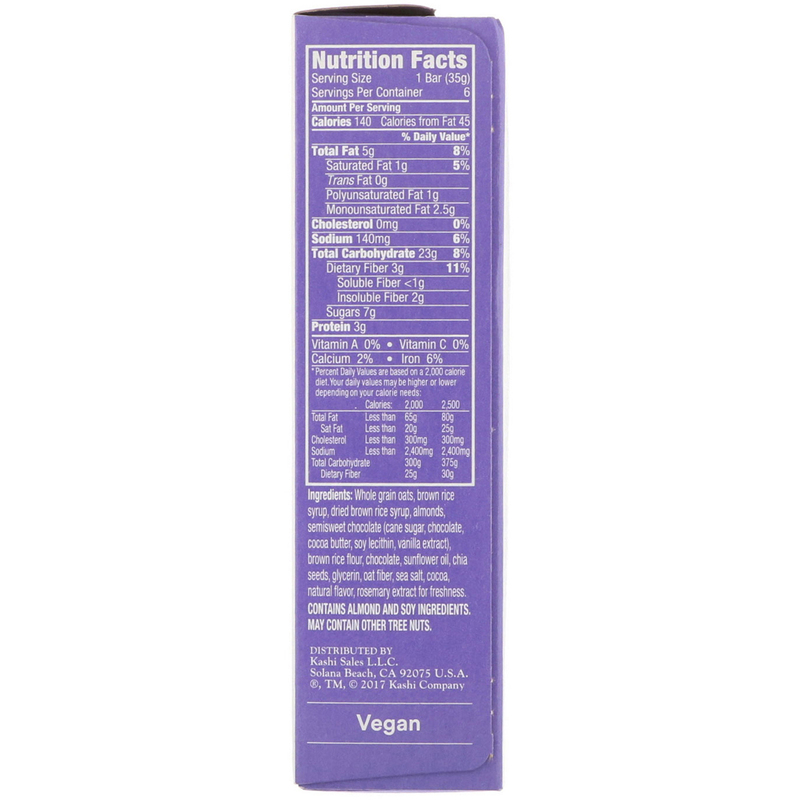 Contains almond and soy ingredient.